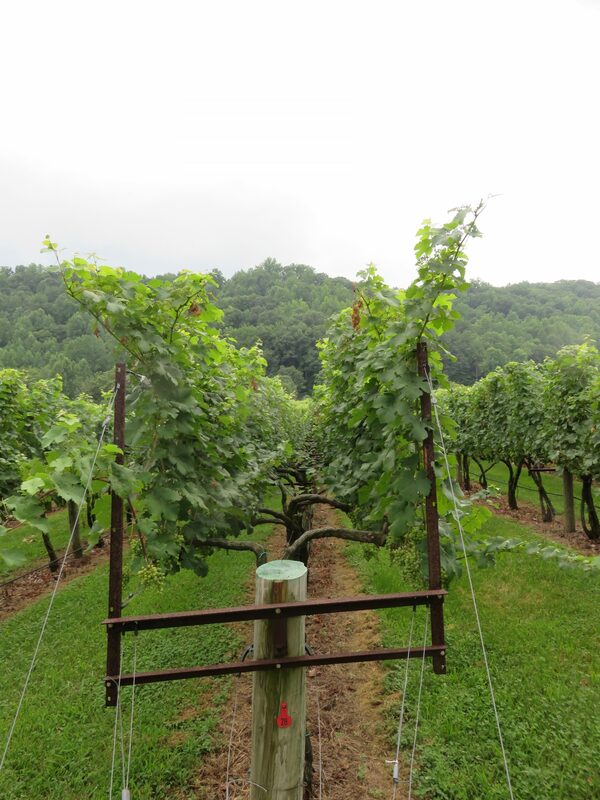 Recently, I returned from a trip to the Central Virginia wine producing region around Charlottesville. There are many similarities between Virginia and the Midwest that demonstrate the promise of our Midwestern wine industry. Hybrid wines are not only being grown successfully in Virginia, but consumers are buying them. If you haven’t heard, Virginia wine is hot. There are now over 200 wineries and it’s not a stretch to say that Virginia is on the cusp of being a major U.S. wine producer. But, like the Midwest, it’s not easy to grow wine grapes in Virginia. First, it can get darn cold. During early March of 2015, vineyard temperatures dropped to about negative 3F around Charlottesville. Central Virginia is in the USDA growing zone 7a, which is slightly warmer than the southern portions of the Midwest. But chilly air from the Blue Ridge and Alleghany Mountains does occasionally spill into the valleys. Of course, Charlottesville was home to one of America’s founding viticulturists, Thomas Jefferson. If you’re in the area, a visit to Monticello is a must. Here you can see our third President’s farm much as it existed in the 1700’s and early 1800’s. 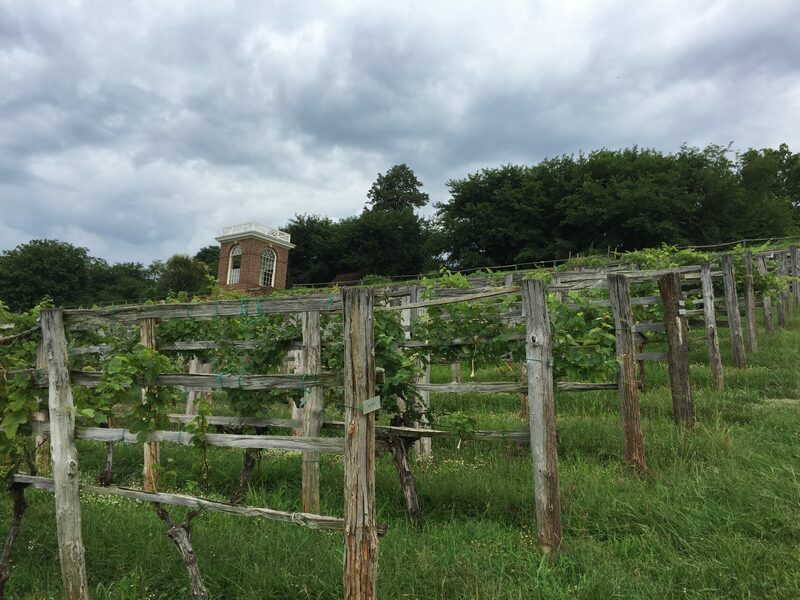 Scraggly grape vines hang on Monticello’s vintage hardwood trellises labeled with the cultivars like Muscat Blanc, Mammolo Toscano, Aletico and Malaga Rosada. 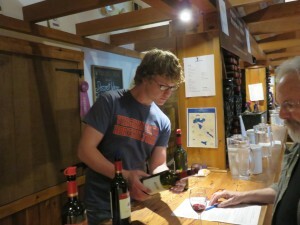 During my trip, I visited about a dozen wineries. Below is more information about five wineries that are especially worth a visit, although there are certainly many more worth exploring. 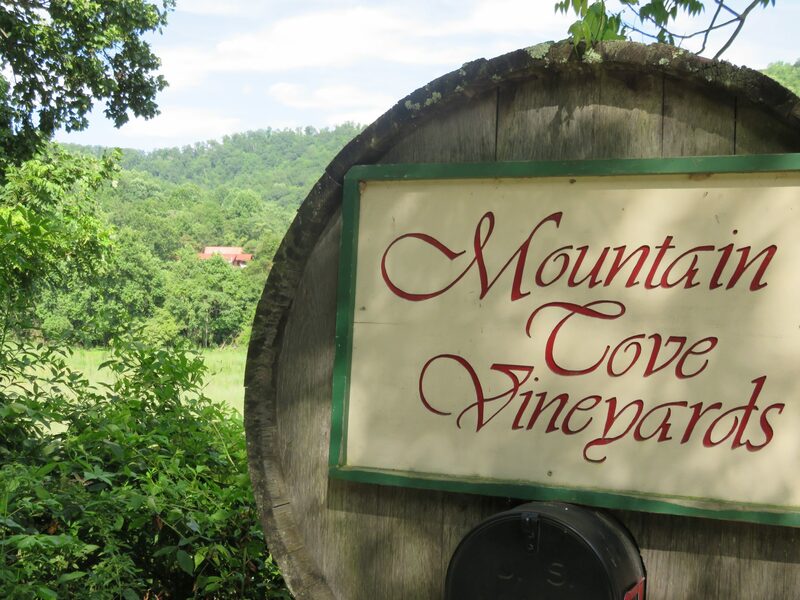 Mountain Cove Vineyards is the first post-Prohibition winery in Virginia. As you come down the narrowest winery drive I’ve ever negotiated, you’d swear that you were driving into the heart of a dense forest. But as you round a blind curve, the forest opens and the rustic tasting room appears. Al Weed, the owner of Mountain Cove, planted 12 acres of hybrids in 1974, then completely replanted in 1997. At first, Weed was growing late ripening grapes like Baco Noir, Chelois and Villard Blanc. Late ripening usually means late bud break, so you won’t find Baco or Chelois at Mountain Cove today. But you will find Villard Blanc, a grape that once was widely cultivated in France. Villiard ripens in mid-October and Al is a big advocate of letting the fruit hang. The Skyline Rose is a delightful blend of Villard Blanc and Norton. It has just 2% sugar. Combining the grassiness of Villard with the dill notes of Norton results in a complex and satisfying wine. Skyline White, a blend of Villard Blanc, Petit Manseng and Vidal Blanc is also excellent at $13 per bottle. The bright acidity is nicely balanced at 2.5% residual sugar with plenty of green apple and freshly mowed grass. Mountain Cove is the only Virginia winery I visited that did not charge for tastings. Al Weed, founder of Mountain Cove Vineyards. 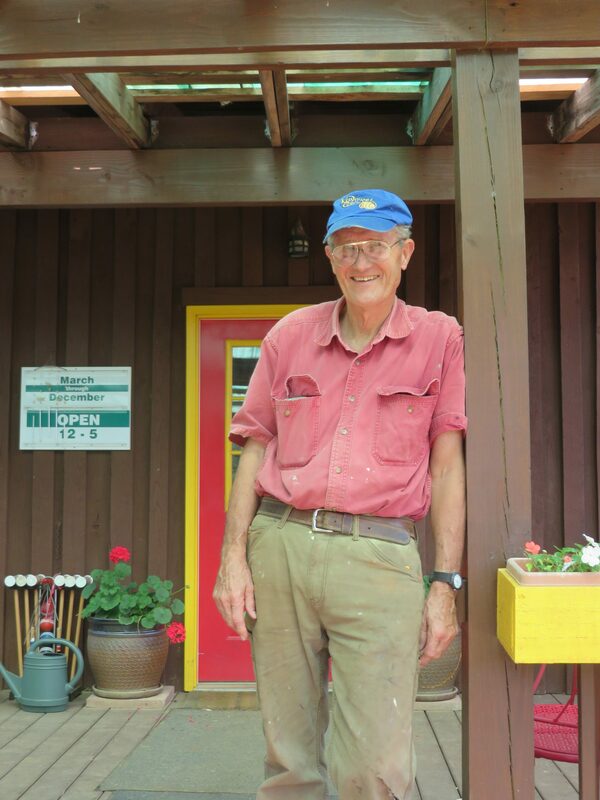 Mountain Cove also grows the Hacksall grape that Weed got from the legendary local grape breeder Dr. Cliff Ambers. Dr. Ambers cultivated 125 wild and native grape varieties in Monroe, not far from Mountain Cove. 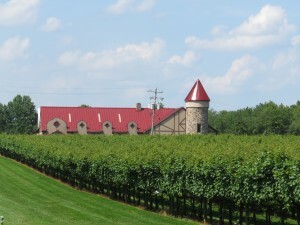 Ambers’ winery, Chateau Z, was sold to new owners at the end of 2014 following Ambers’ divorce. Weed did not know the current status of Chateau Z. Ambers built a rare repository of grape genetics and hopefully it is being maintained by the new owners. Weed has some other offbeat grapes at Mountain Cove. For example, a grape called Pierellie is used as a blender. Weed said the grape does not train easily and its powerful aromatics make it attractive to the local deer population. Deers are not the only large mammals local wineries have to deal with. Black bears are occasional vineyard visitors who not only devour grapes but also damage trellises. DelFosse Vineyards and Winery near Charlottesville reportedly has a bear fence made from industrial grade steel cables. In conclusion, Mountain Cove is the Bill Monroe of wineries, a classic and an innovator at the same time. If you’re lucky, you might be treated to an impromptu blue grass jam on the porch of the tasting room. Bourboursville tasting room employee Patrick McHale is a student at Virginia Tech’s new undergraduate viticulture program. Barboursville– This stately 80,000 gallon per year winery evokes some of the grandeur of Monticello. From the tasting room, you can look across the 190 acre vineyard, framed by the Blue Ridge Mountains. Barboursville grows one hybrid, Vidal Blanc, and it’s primarily used as a blender. Vidal Blanc is relatively easy to find as a varietal wine in Central Virginia where it takes on a Riesling quality. At Barboursville, Vidal is blended with Moscato Ottenel to make a Passito style wine. The Passito winemaking process involves air drying the grapes for up to 120 days before crushing and pressing. This style of dessert winemaking concentrates sugars. Could Passito have application for the high acid grapes that grow in the Midwest? 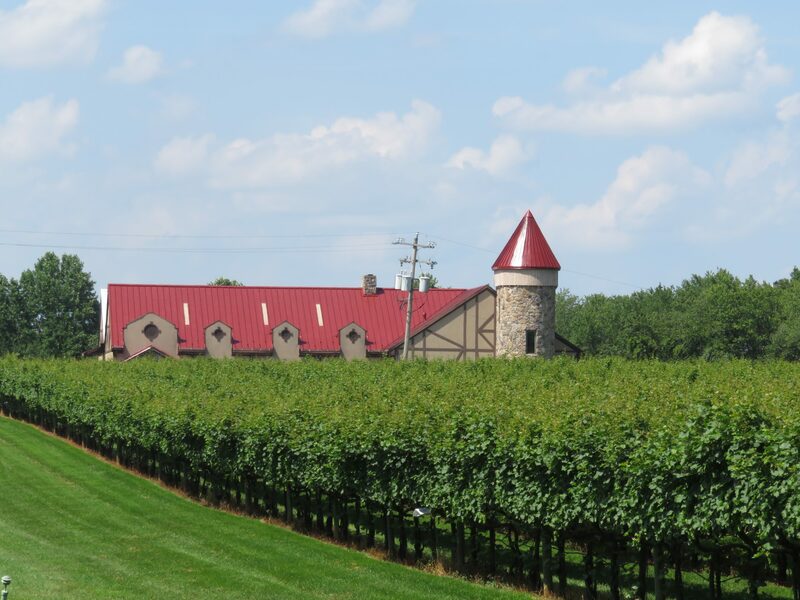 Sources tell Midwest Wine Press that Barboursville lost tens of thousands of vinifera vines this March, including most of the popular Viognier crop. 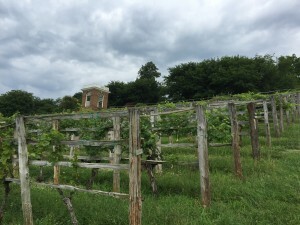 Similar to the Midwest, Virginia winery owners are often faced with the decision whether to replant old world grapes or switch to more cold hardy hybrid grapes. Despite the vinifera bias, Barboursville’s elegant tasting room is good place to let your palate roam. Growing Riesling in such a warm area is a struggle, but the Barboursville Riesling succeeds with offbeat peach and lemon Pez candy flavors. They also grow Vermentino, which is normally associated with the Mediterranean island of Sardinia. 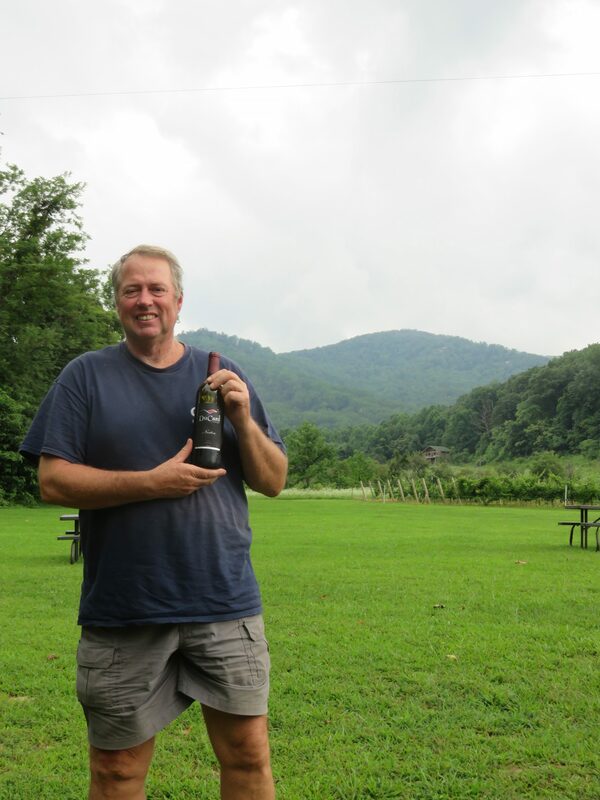 Horton Vineyards– Here’s a top Virginia winery with a direct Midwest connection: Horton founder Dennis Horton grew up in Hermann, Missouri and played in the cellars of Stone Hill Winery as a child. Horton sourced his Norton vines from Missouri in the early ’80’s becoming the first Virginia winery since Prohibition to make Norton. In my opinion, Horton winemaker Michael Heny makes one of the best Nortons in America. Actually, the Horton Norton contains 23% Touriga Nacional, Portugal’s signature grape. The result is a cultured Norton with aromas of plum and cherries and a long spicy finish. Horton’s tasting list also includes some excellent offbeat wines including Rkatsiteli, a dry white from the country of Georgia. The tasting room staff refers to this wine as “R-cats,” so you don’t need to worry about mispronouncing the name. For only $15 a bottle, R-cats has citrus peel aromas and tastes like cool climate Pinot Grigio. Some say that Rkatsiteli is the most widely planted grape in Russia, but I have yet to find a R-cats wine in the Midwest. 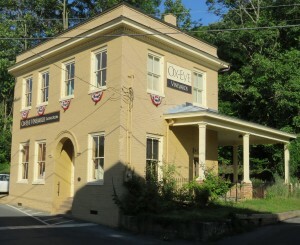 Ox-Eye Vineyards in Staunton, Virginia. Ox-Eye Vineyards is a memorable urban winery in downtown Staunton, Virginia. Staunton is a small town that’s kept it’s character while fostering tourist friendly stores, restaurants and, of course, wineries. 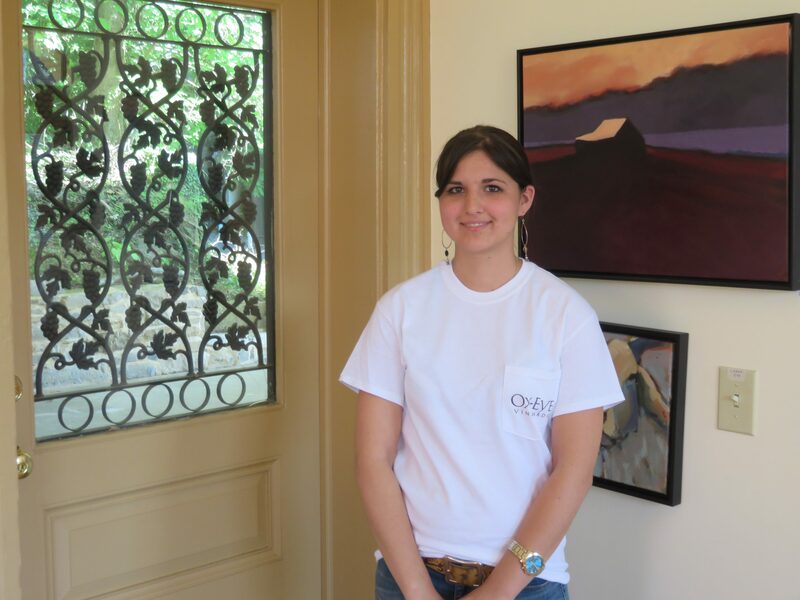 Ox-Eye’s tasting room is in a tastefully rehabbed scale house next to the tastefully rehabbed 1800’s train station. In the old days, coal wagons would load up at Ox-Eye to be weighed and then head out into the countryside. There are a surprising number of Central Virginia wineries with quality Traminette. Ox-Eye’s is among the best. Winery co-owner John Kiers said part of the trick to making Traminette is getting the grapes off the stems immediately. He also advocates keeping Traminette cool from picking time through fermentation. Ox-Eye’s wines are 100% estate grown on a 23 acre vineyard 1,800 feet up in the nearby mountains. The location is too cold for the Merlot and Viognier commonly found in the area, but it’s a great location for cool climate wines. 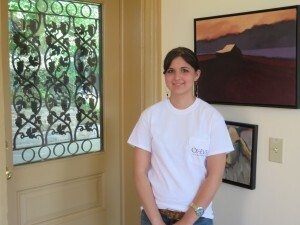 Hostess Molly Kiers at Ox-Eye Vineyards. For example, the Reserve Riesling from the highest elevation vineyard is an ageable wine that feels great in your mouth. The “regular” Riesling comes from a different part of the vineyard and is made with a different yeast than the Reserve Riesling. Tasting different expressions of the same grape from the same vineyard is what makes wine tasting major league fun. Also, check out the Ox-Eye Lemberger which is more tannic than the Midwestern Lembergers I’ve sampled. Scott Eliff, owner of Du Card Winery. Du Card- This was my favorite winery of the ones I visited. But first you will have to find it. Du Card is not trying to attract tourists. GPS is only partially effective for navigation and there are no road signs to guide you. But if you’re looking for Virginia terroir painted on a bold canvas, Du Card is for you. Du Card backs up to the Shenandoah National Forest and the weathered Blue Ridge Mountains, which are about 1.2 billion years old. 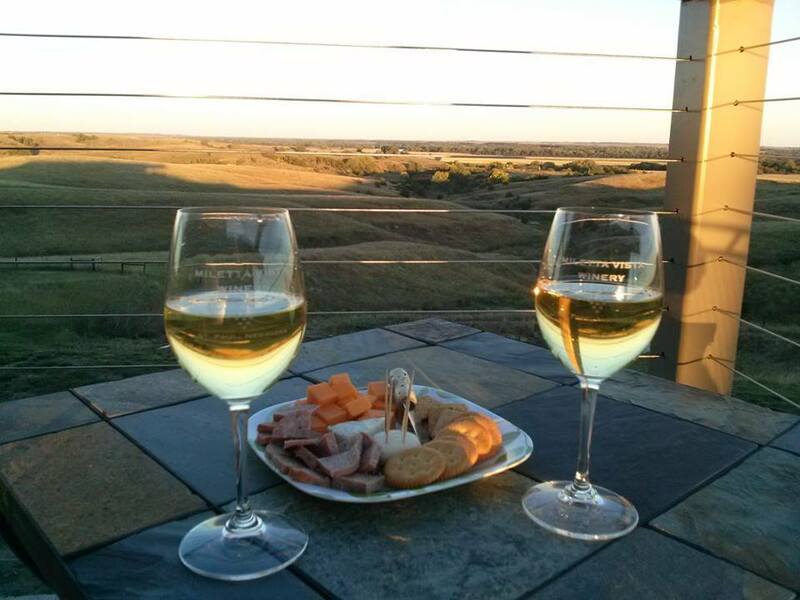 Both the tasting room and the outdoor deck have outstanding views and plenty of room to relax. Here’s a suggestion: Go hiking in the Shenandoah National Forest and then have some Du Card wine. The smell and even the sounds of the mountains are in the wine. Most Central Virginia wineries are on a rock formation called the Davidson Clay. It’s a reddish soil that drains well. Du Card’s wines have an ancient, noble quality, which might come from the clay and the limestone base of the soil. Eliff uses a crazy looking modified Lyre trellis system for his Norton Grapes. He says the trellis pulls the bushy Norton vines apart and lets the sun get to all the fruit. Normally, he does not harvest Norton until October. The Du Card Norton grape chemistry -24 Brix and a pH below 3.5- is tamer than the Midwest and the malic acid is also more subdued. The pigmentation of the Norton is more like early Deep Purple than the later ‘World’s Loudest Band” which is still touring. Central Virginia Nortons vary greatly from winery to winery. The DuCard Norton is among the more refined versions. DuCard is modern, clean and well kept. The winery is only an hour and one half from the sprawl of Washington D.C. It’s a winery where wine drinkers with urban tastes can enjoy estate grown wines in a picturesque setting. Perhaps because of the proximity to D.C., the bottle prices at Du Card are mostly over $25, which is higher than the other profiled wineries. If you are an adventurous wine drinker, you will like Central Virginia. Like the Midwest, you will still find flawed wines in Virginia. The temptation to judge any emerging wine region based on a few bad wines is unfair. If you’re seeking adventure and not perfection, it’s worth wandering a little to find that one wine or winery that you’ll remember forever. Homepage photo: Barboursville Vineyards with the Virginia Blue Ridge Mountains in the background.